Welcome to the Spring term Owl Class! 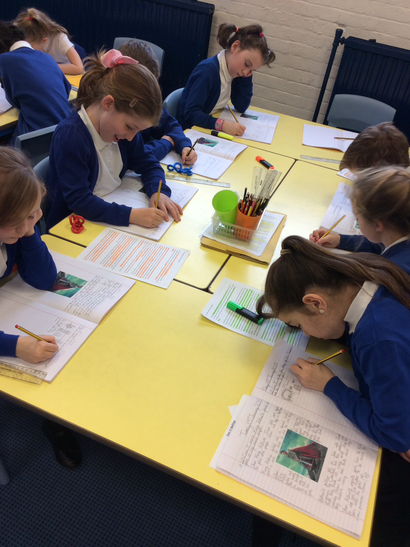 We have a very exciting term and will be spending the first half term finding out about King Alfred and the Anglo-Saxons. 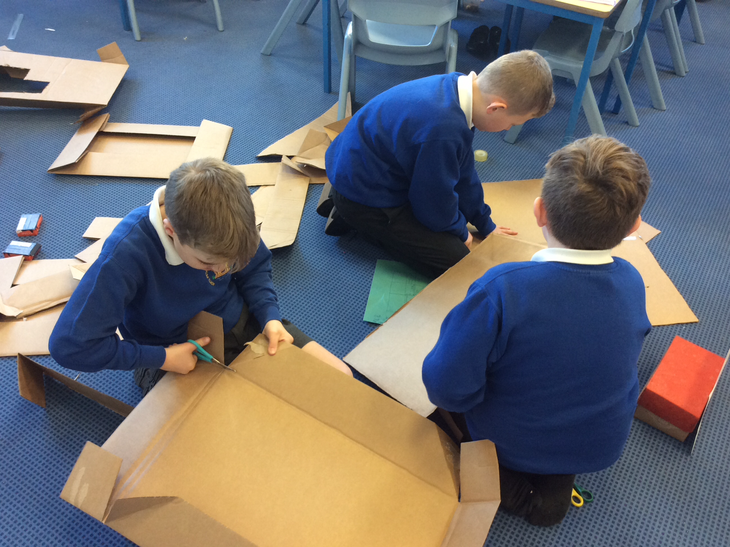 The children will be creating their very own Anglo-Saxon villages! 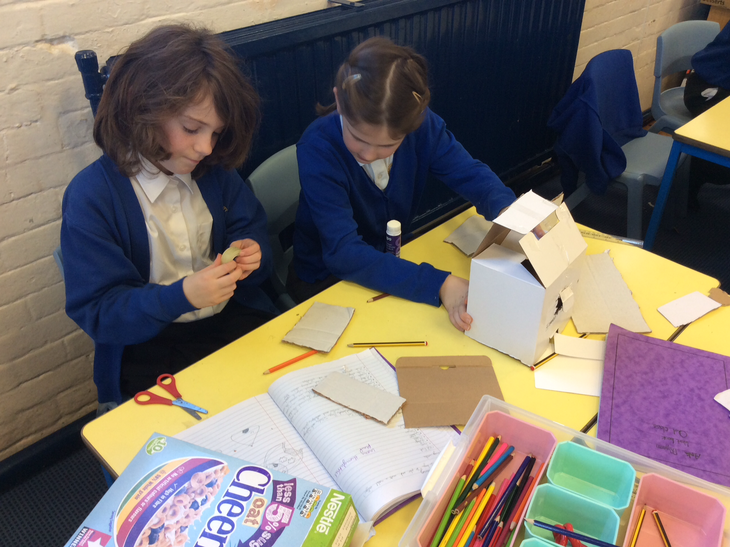 We will also become scientists and inventors, finding out about electricity and sound and creating our own cracking contraptions and inspirational inventions during the second half term. 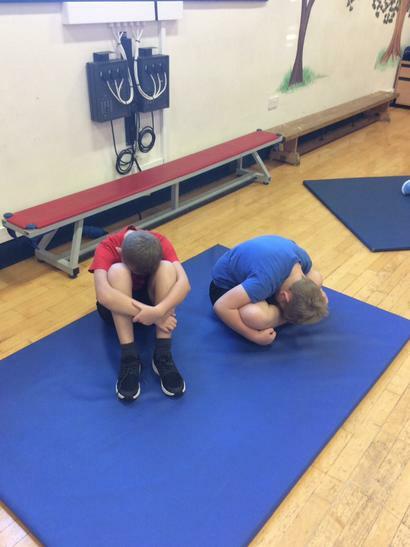 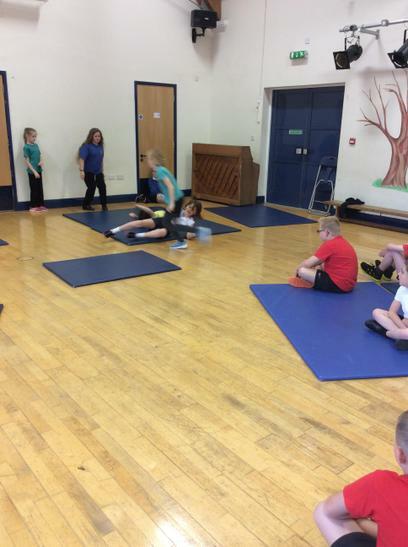 Owl Class have swimming every Thursday this term and P.E. 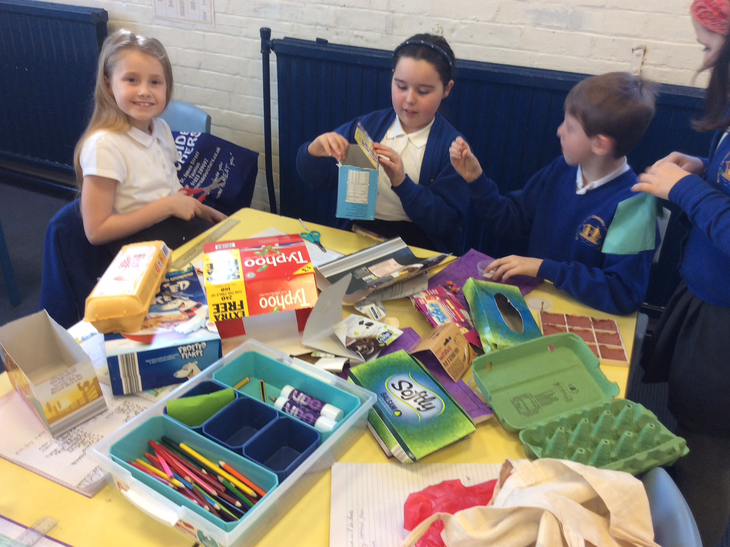 every Monday so please ensure the correct kit is in school when necessary. 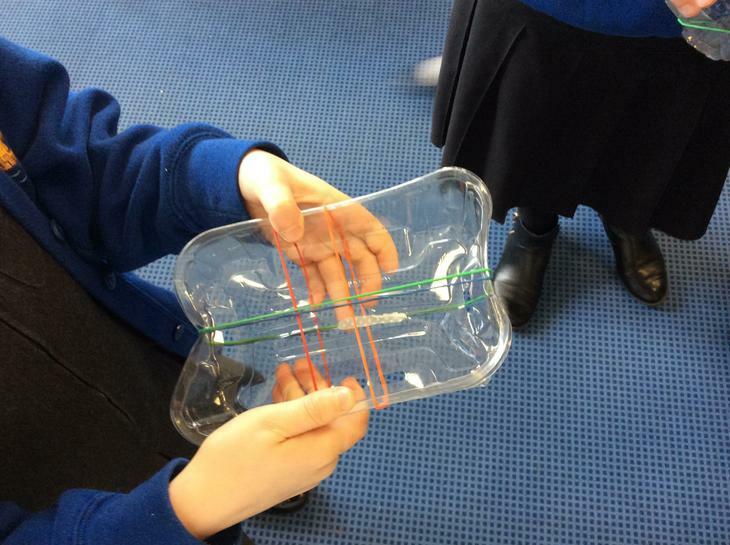 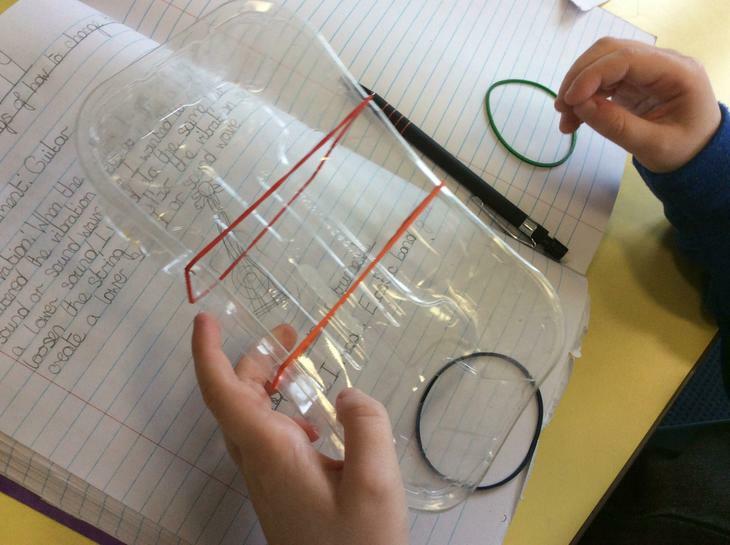 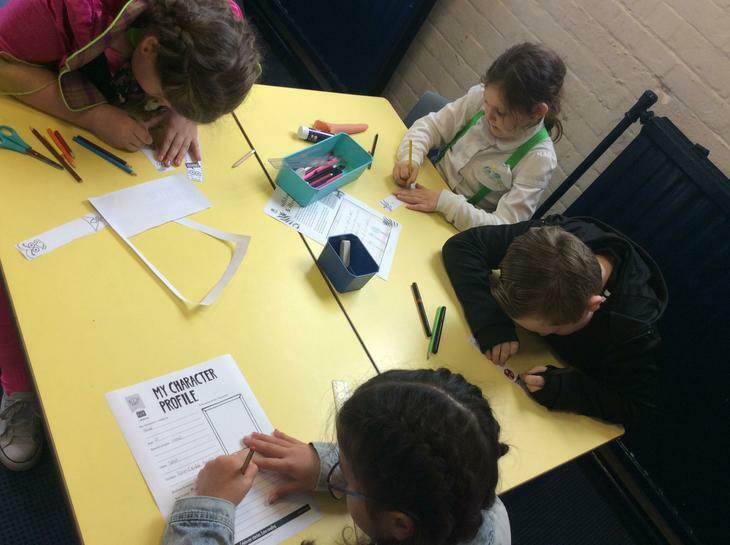 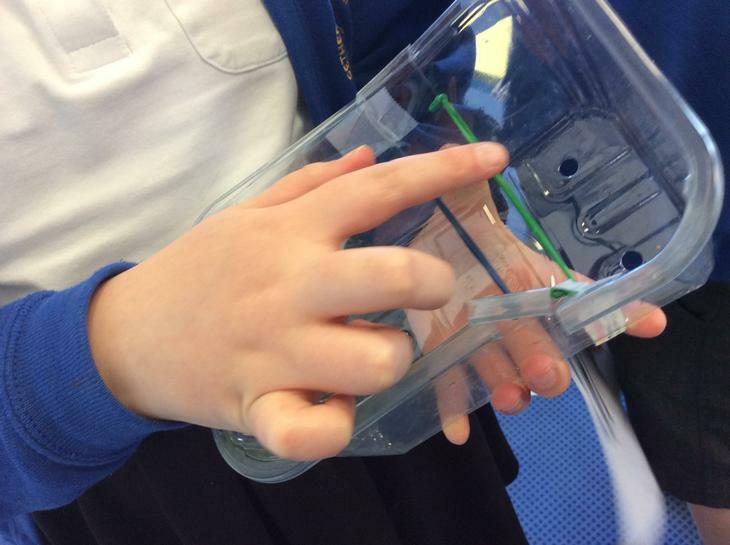 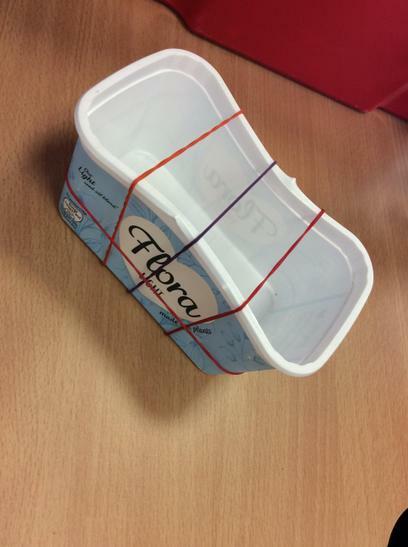 The children have been having lots of fun learning about inspiring inventors and cracking contraptions! 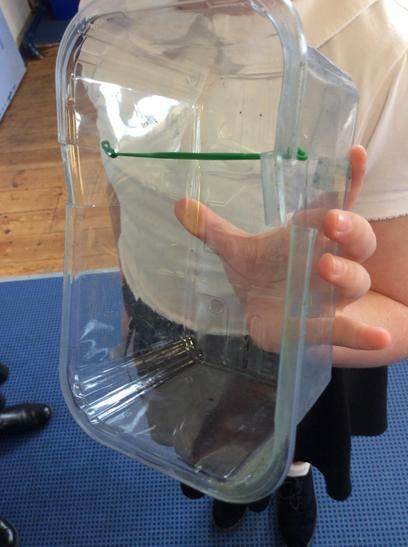 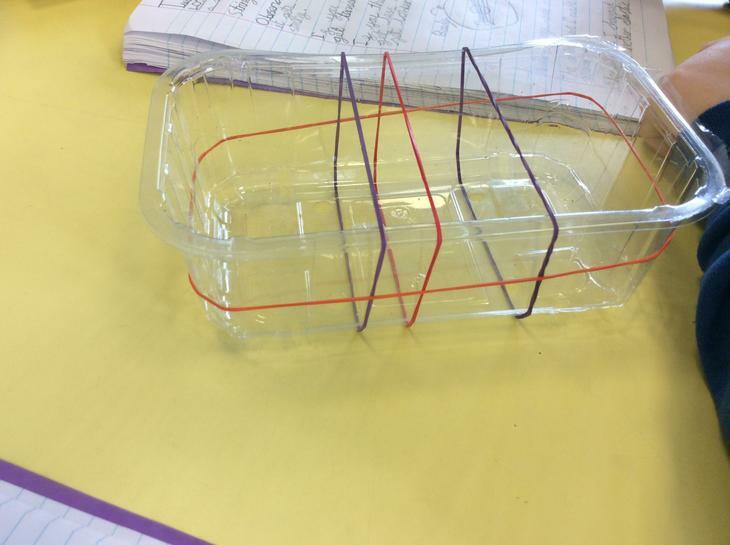 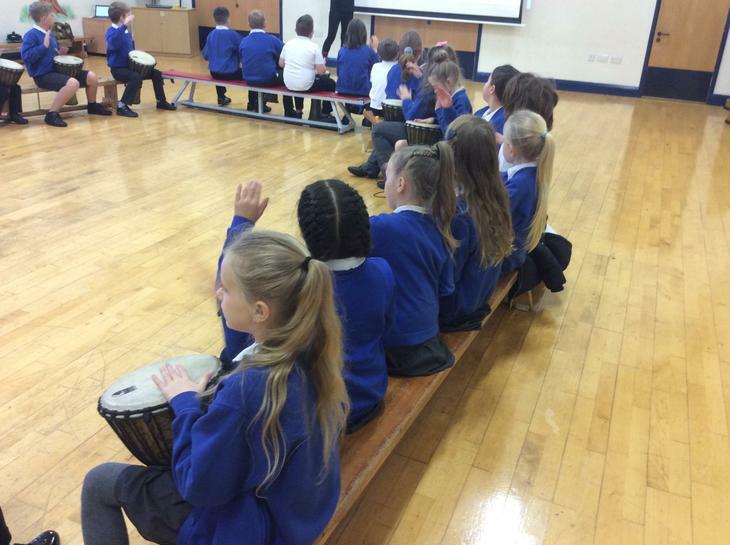 Here are some pictures of our own musical instruments. 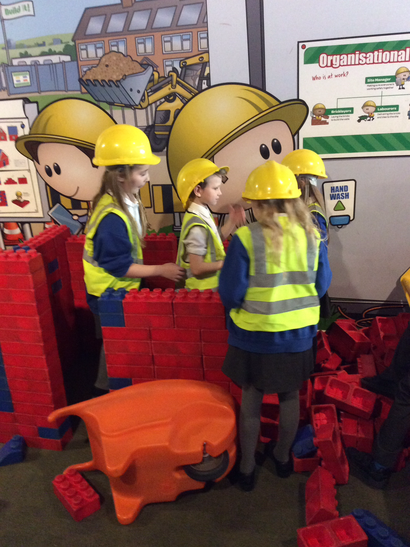 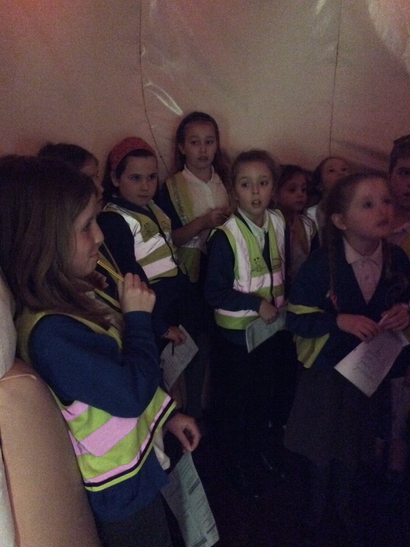 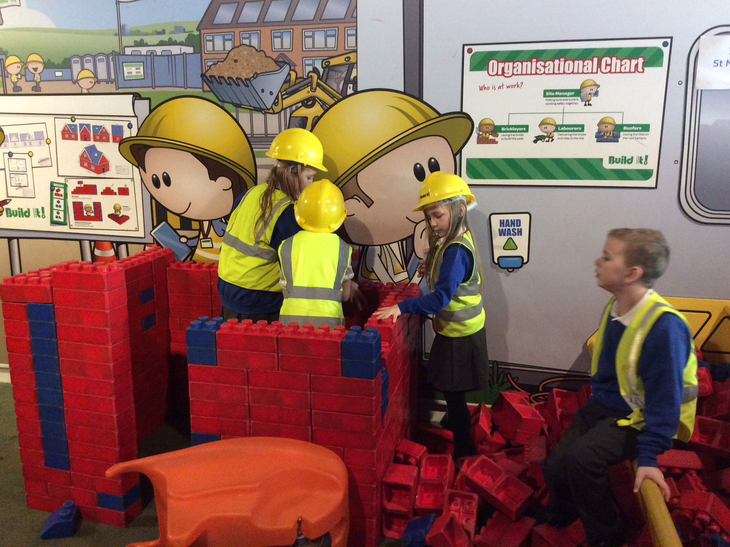 We are all so proud of Year 4, we had a fantastic day at We the Curious! 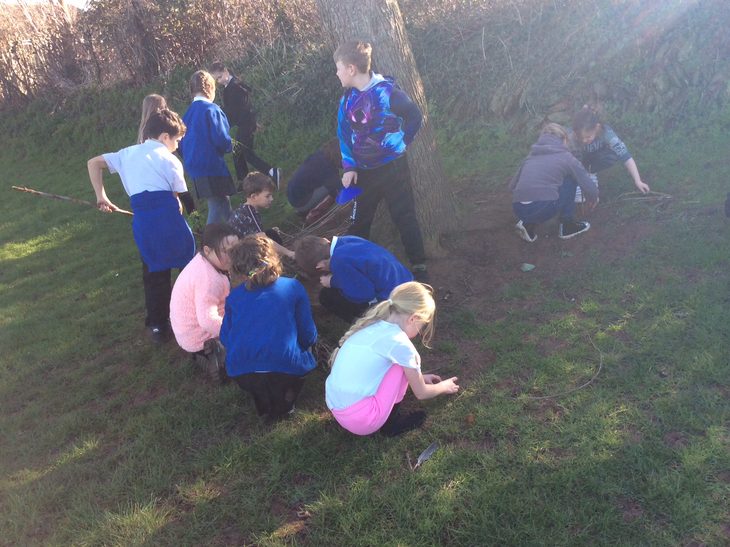 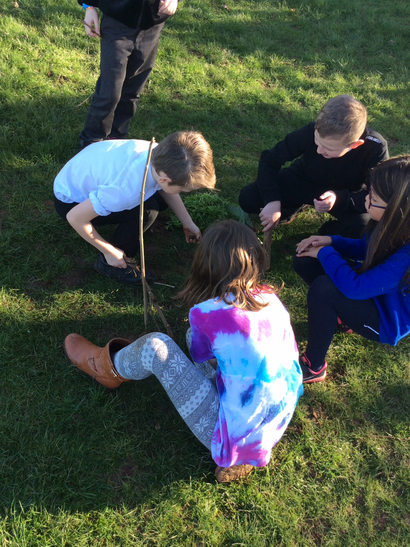 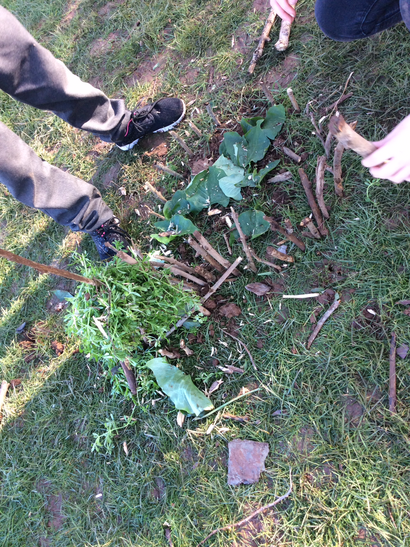 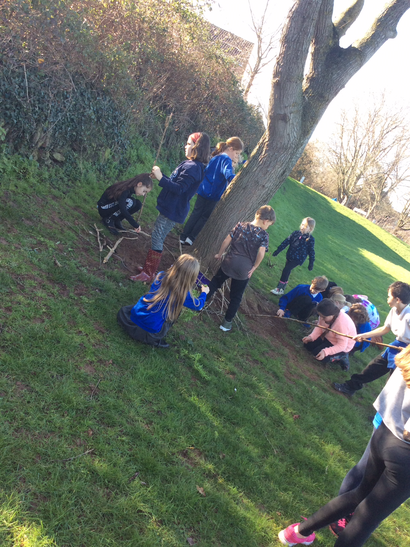 Owl class building their Anglo-Saxon villages outside in the sunshine. 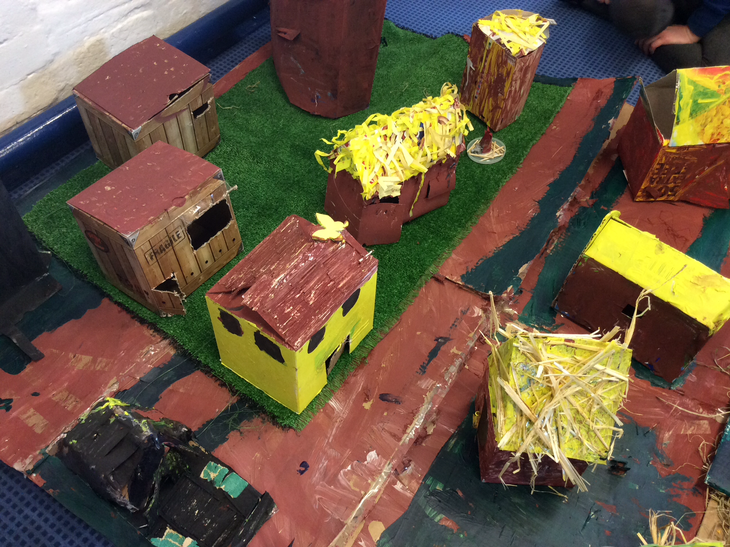 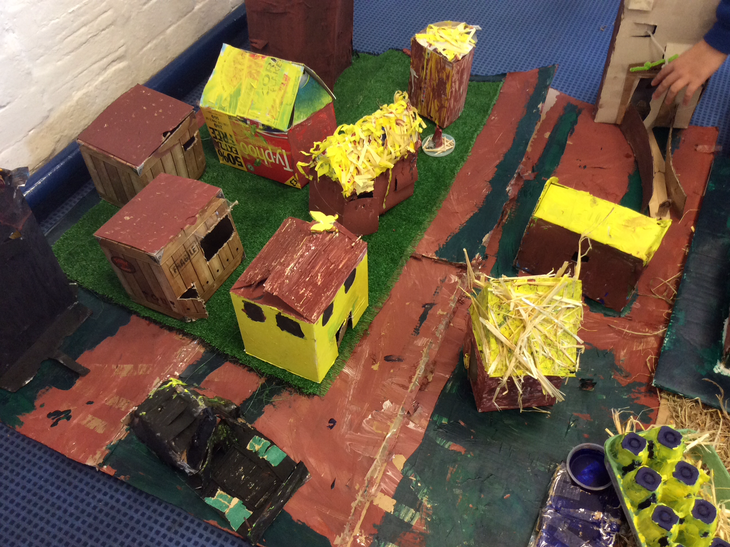 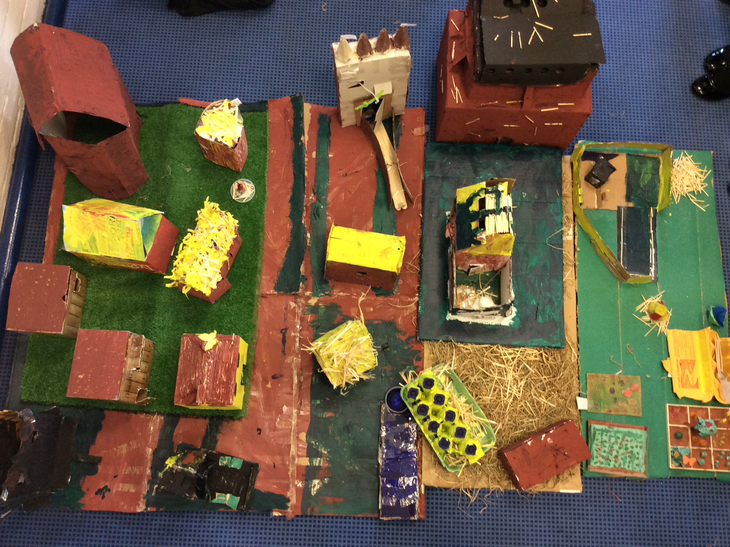 Here are some pictures of our amazing Anglo-Saxon village. 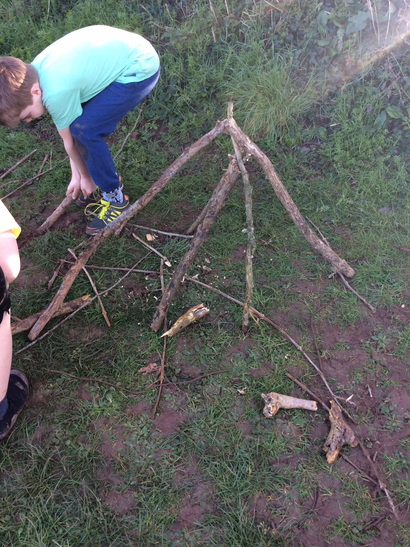 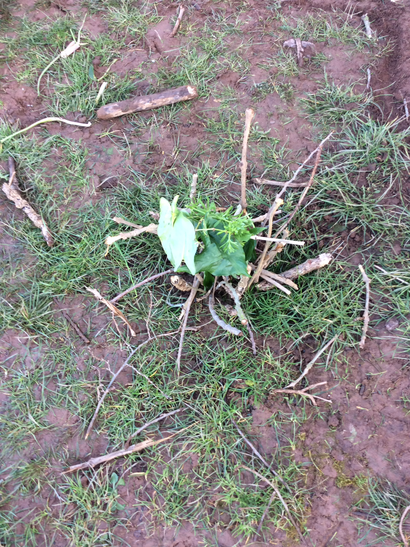 The children worked together to create our masterpiece, well done Owl class! 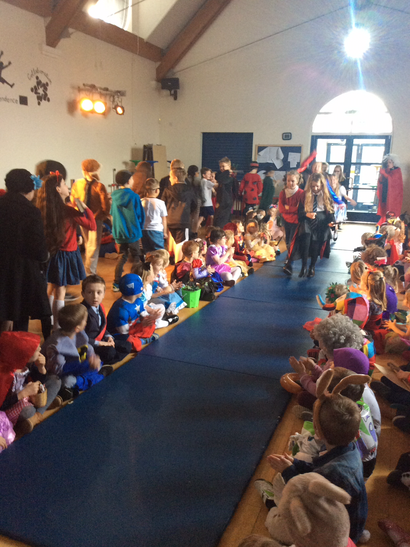 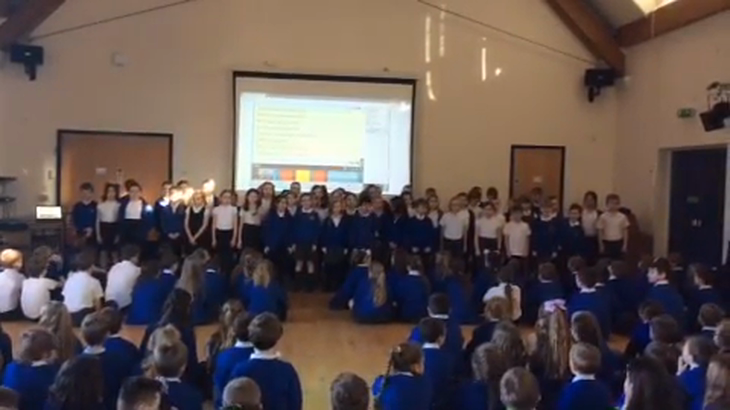 Here is our fabulous performance of Mamma Mia, Owl and Otter class did so well! 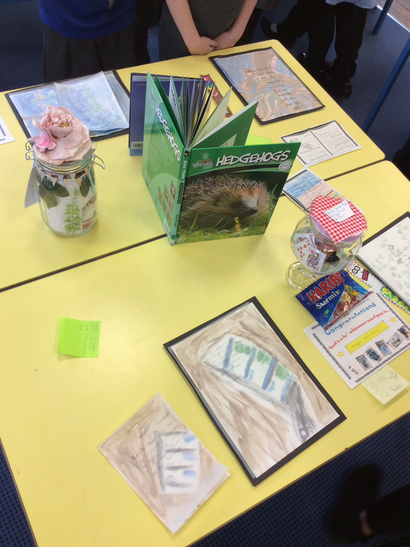 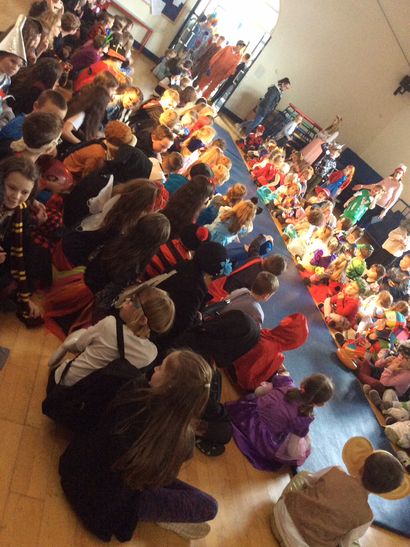 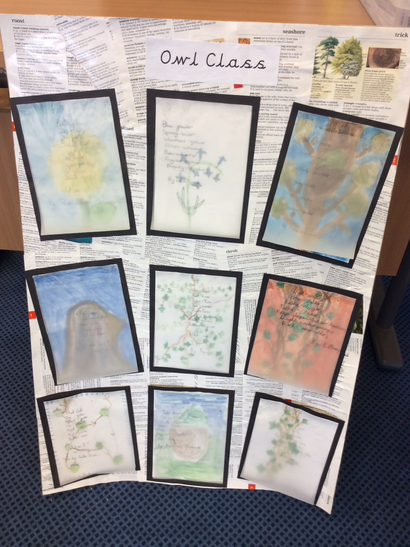 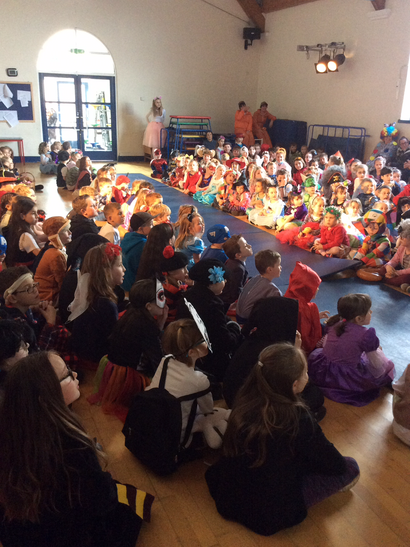 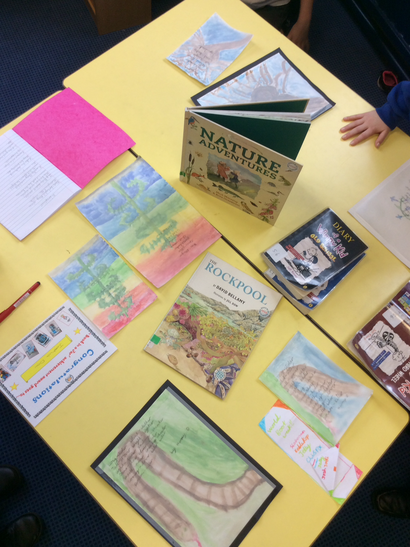 Mrs Lawrie and I are so proud of Year 4! 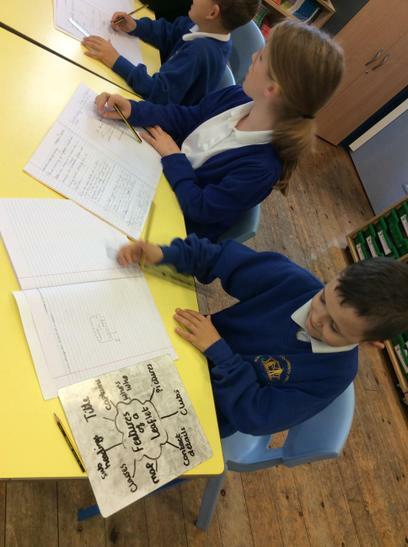 In Literacy we are currently planning a balanced discussion around technology and handwriting. 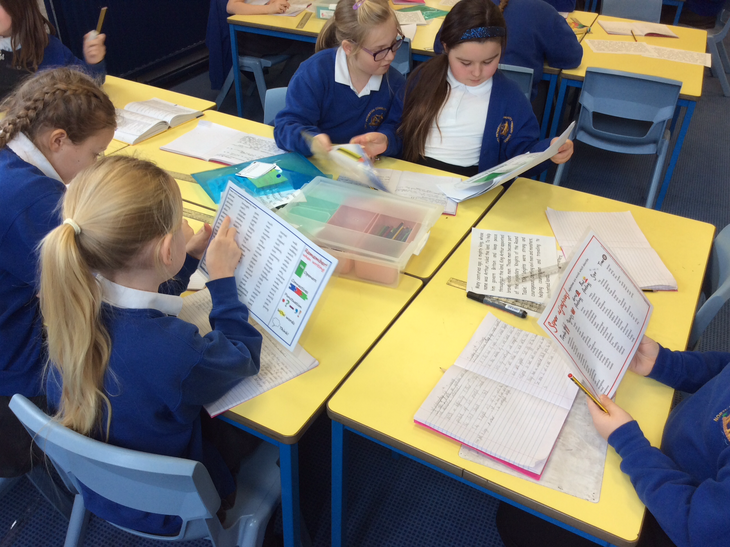 Many of the children prefer technology however, there are some children who prefer to hand write. 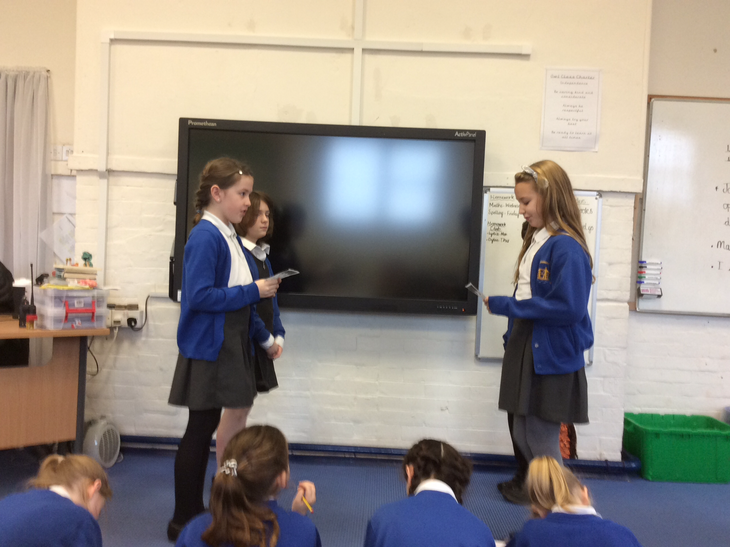 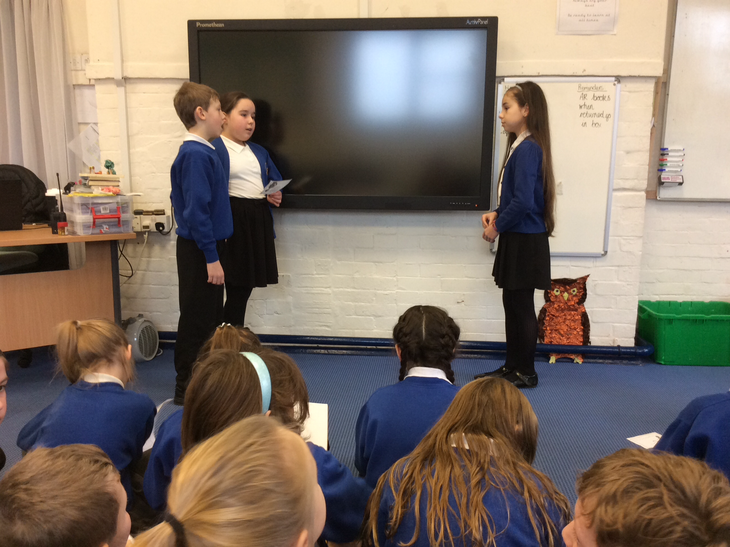 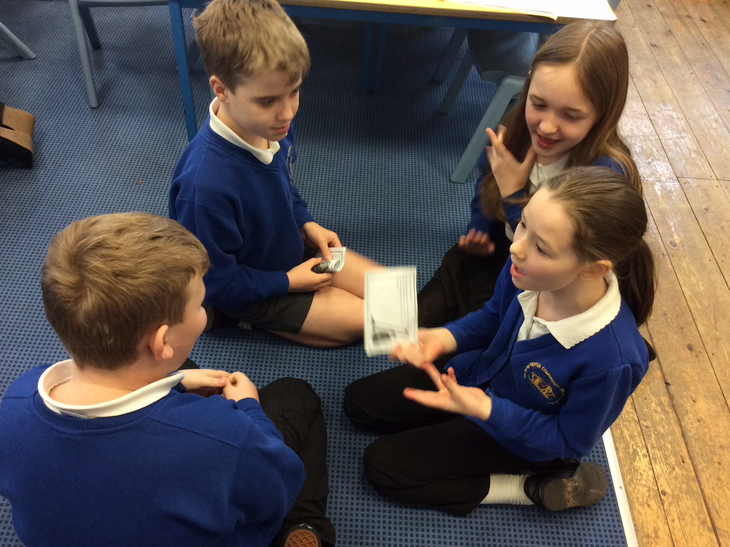 Here are a few pictures of Owl class having a verbal debate. 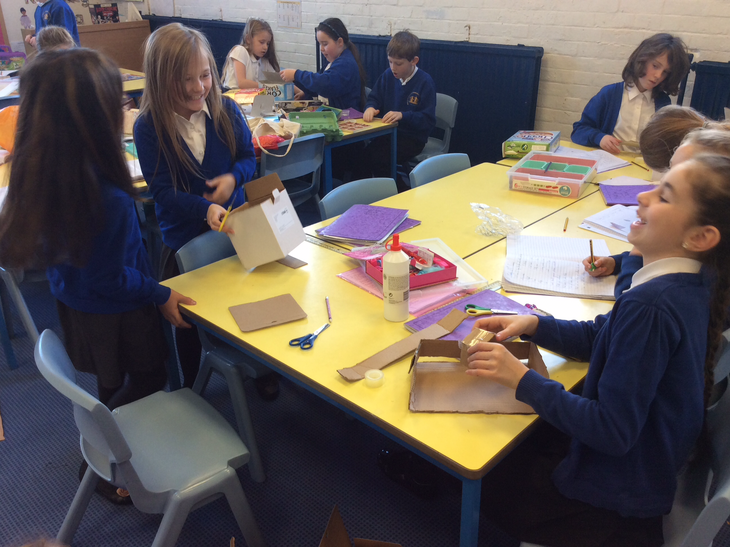 Owl class had a fun filled afternoon beginning to create their Anglo-Saxon villages. 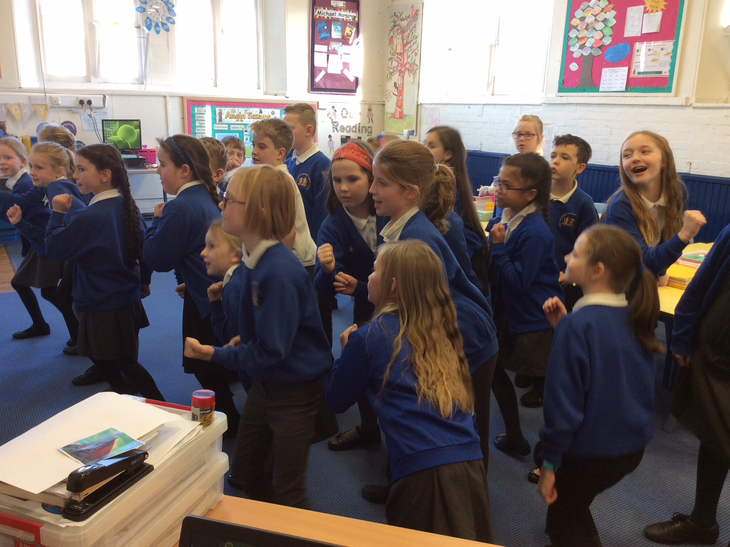 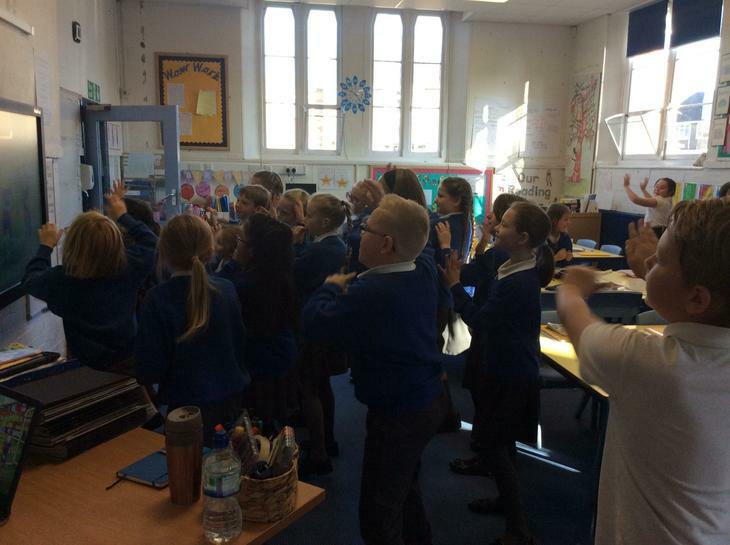 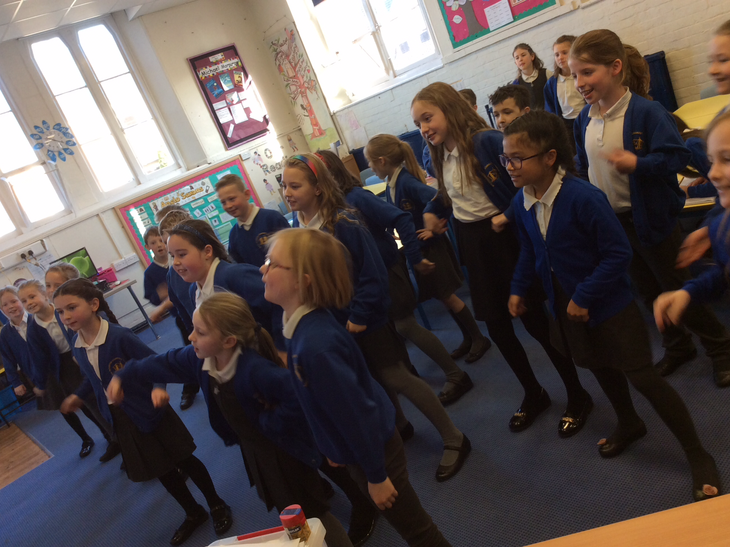 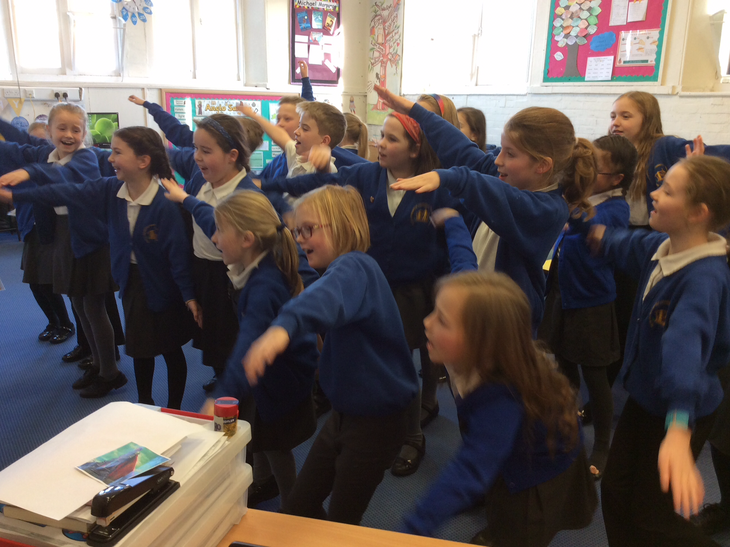 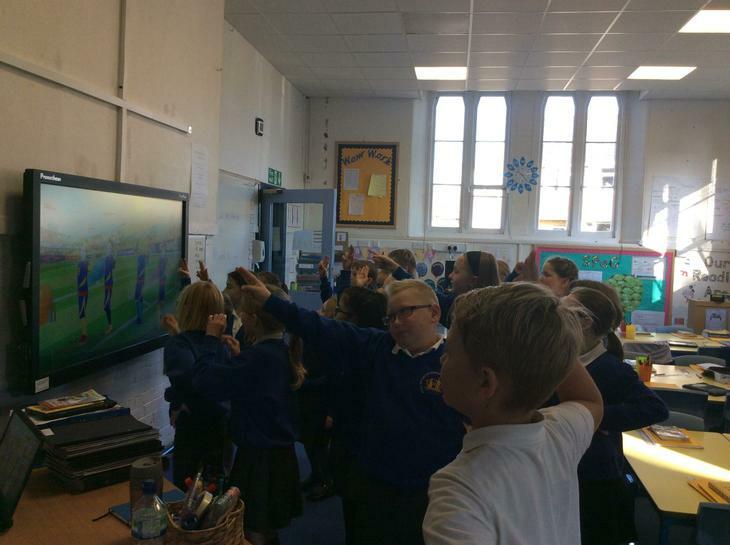 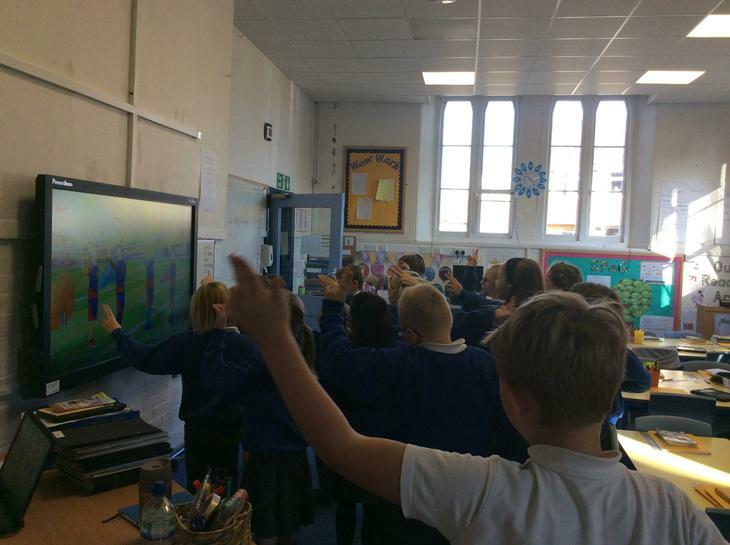 We enjoyed a Just Dance this morning as the children worked super hard in English! 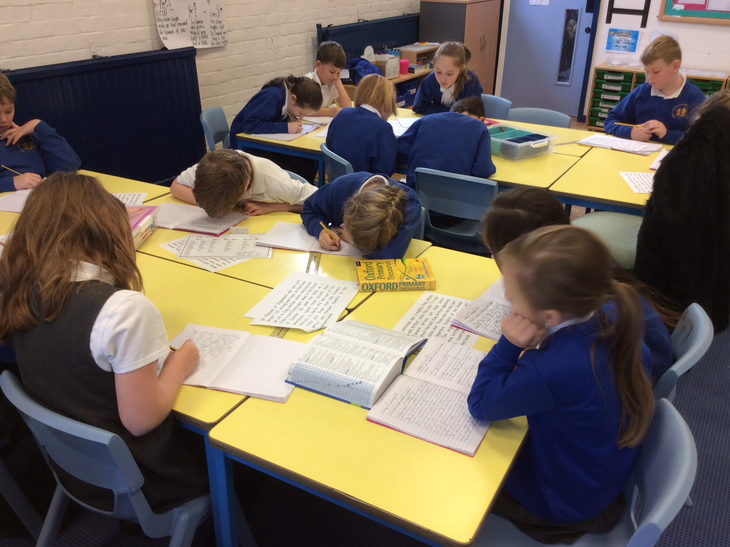 Owl class have been studying King Arthur and the legend of the Sword. 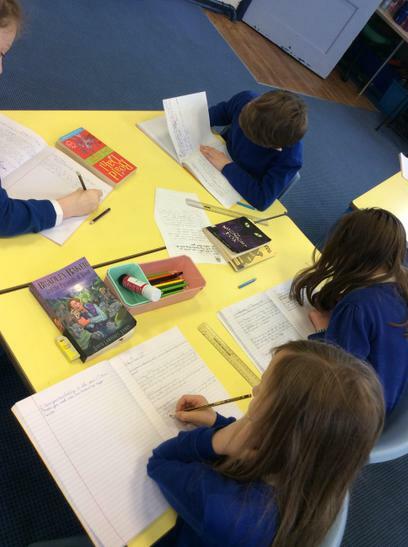 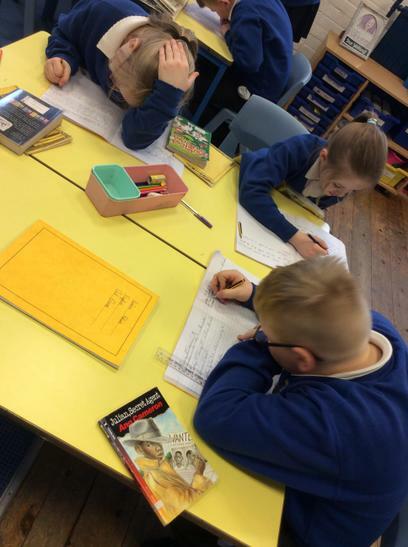 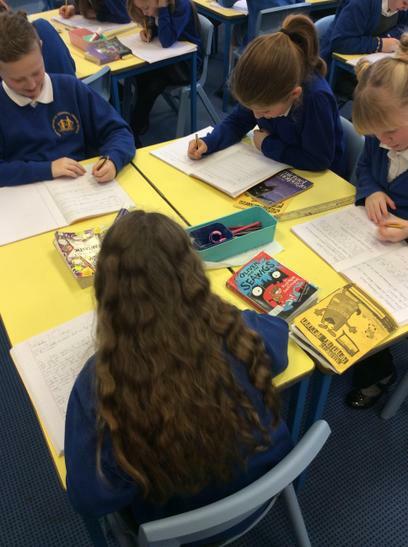 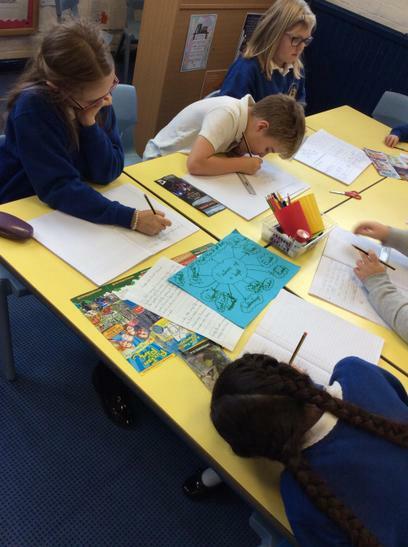 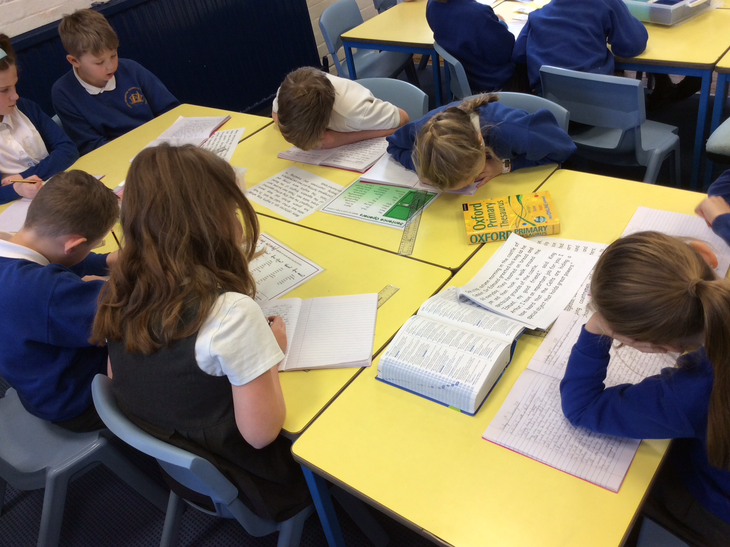 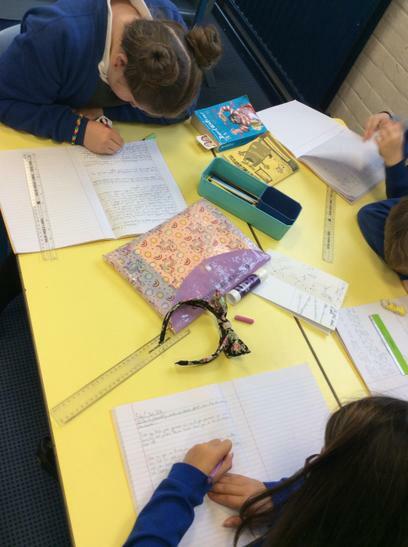 We have worked really hard today creating our own legend stories. 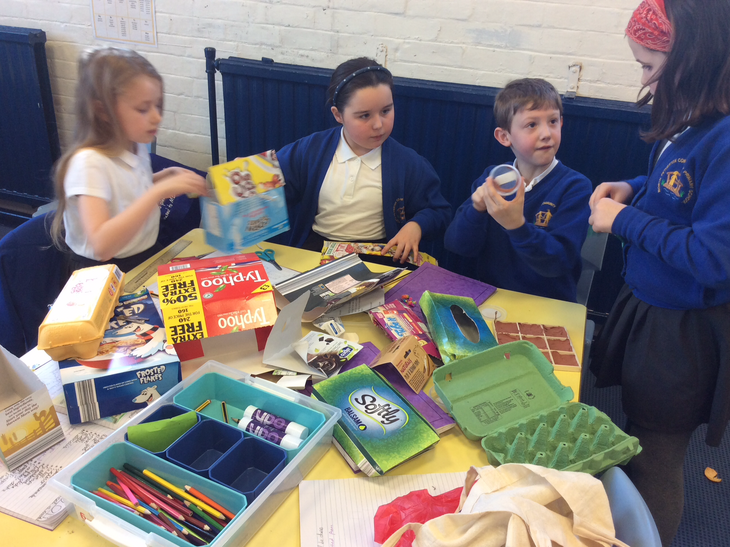 Thank you all very much for your food bank donations. 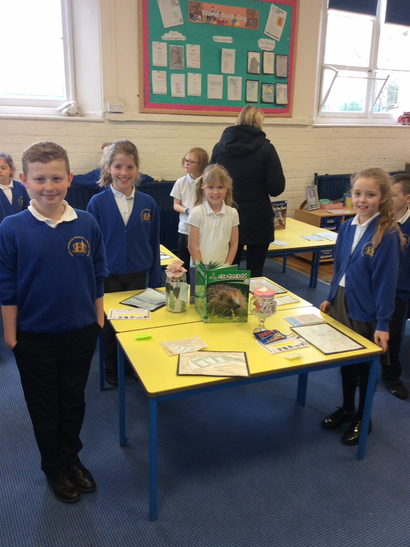 Here is a picture of our donations! 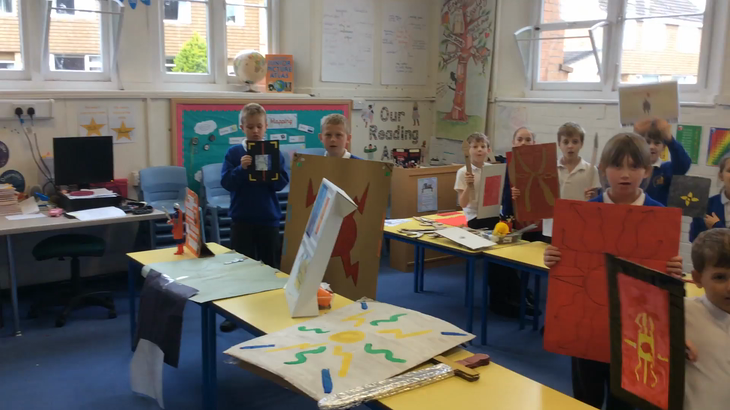 Welcome to our Roman Museum! 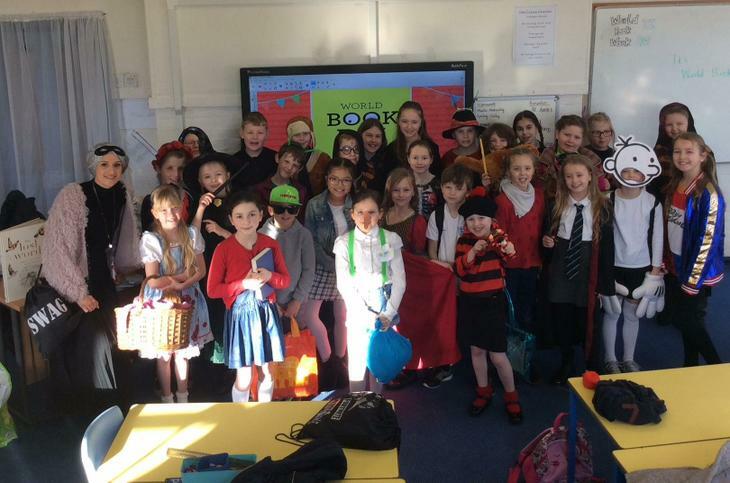 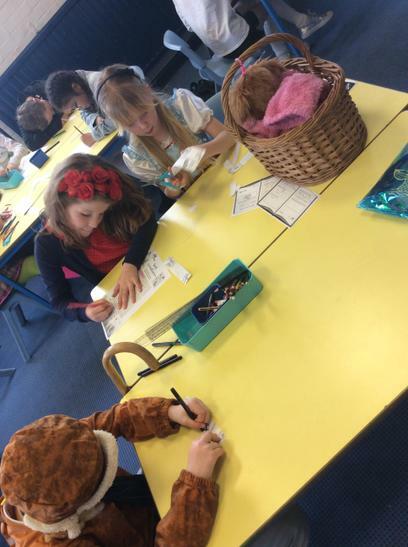 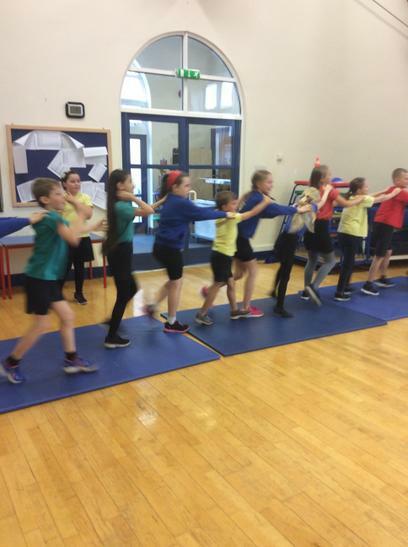 Yesterday Year 4 enjoyed our Roman day! 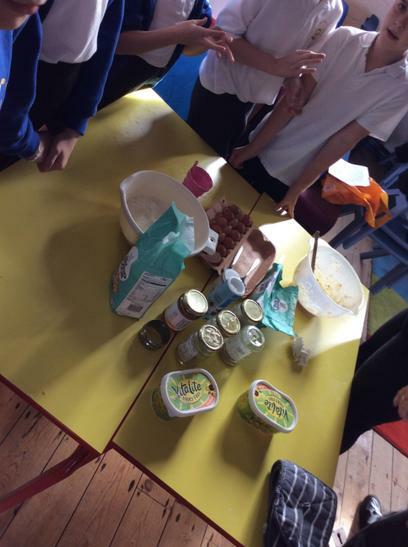 We had lots of fun throughout the day and also made some delicious Ancient Roman Honey Cookies. 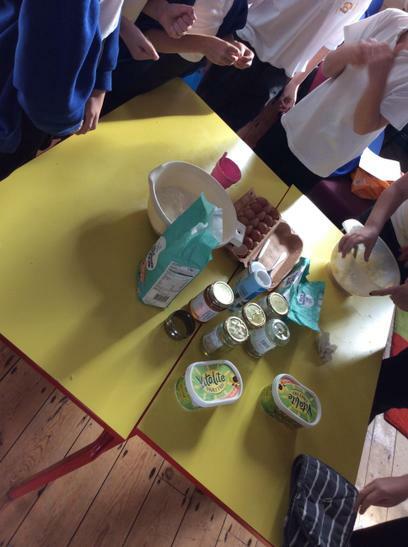 Here is the recipe for our Ancient Roman Honey Cookies. 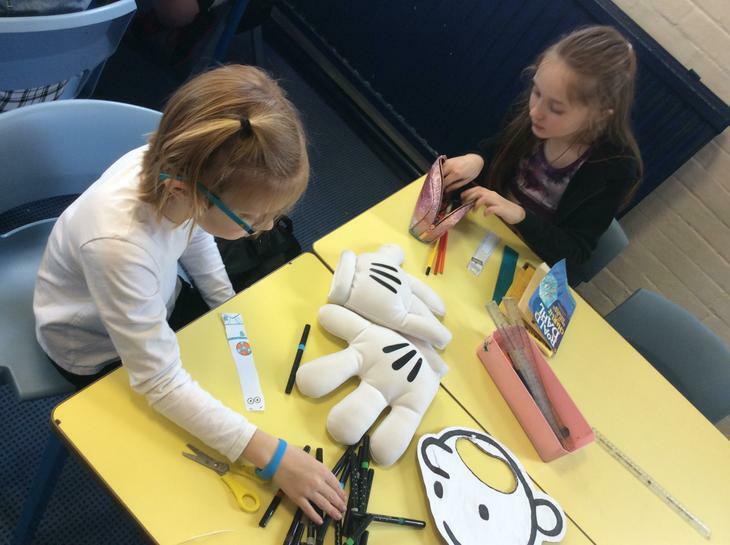 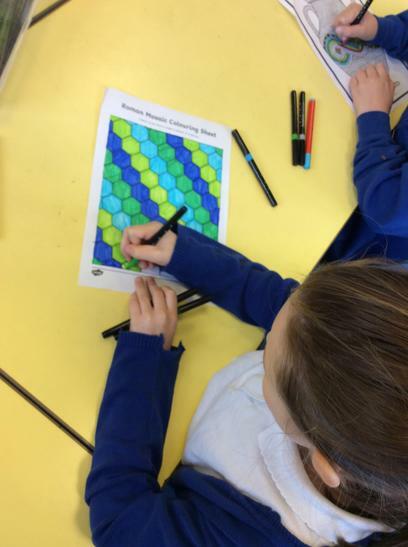 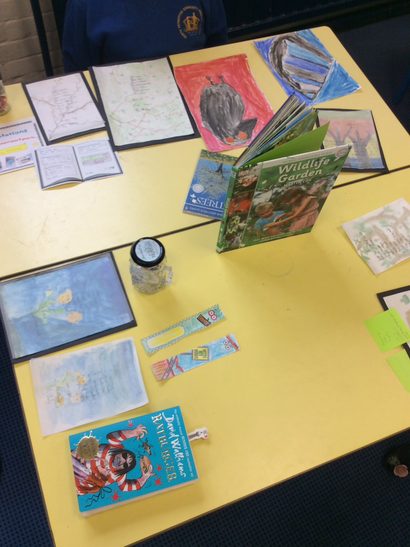 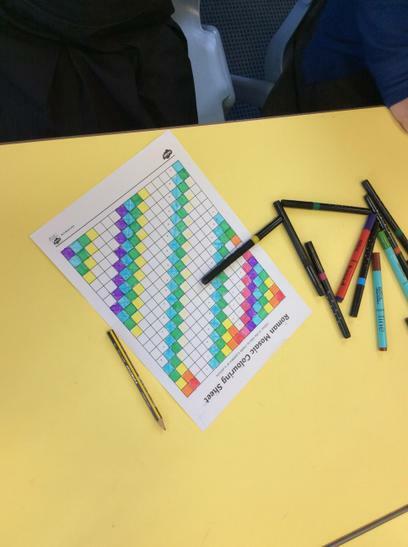 Today Owl class worked on becoming more independent now that we are in Year 4. 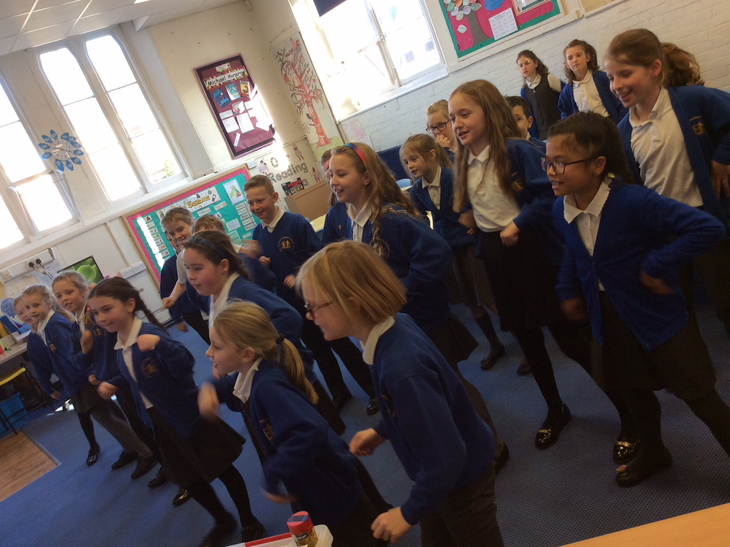 They worked so well this morning that we were able to enjoy Just Dance! 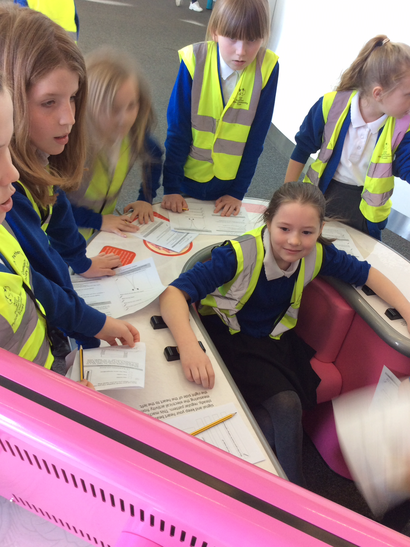 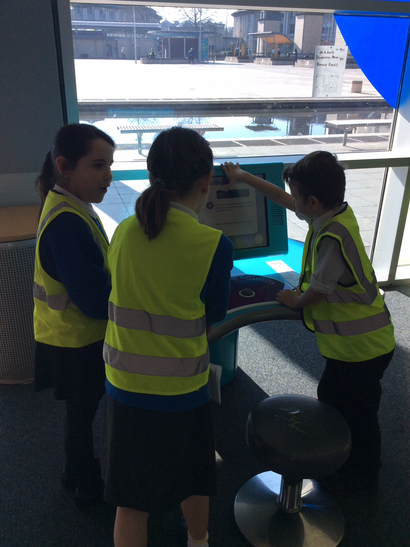 Here are the children looking at the features of leaflets. 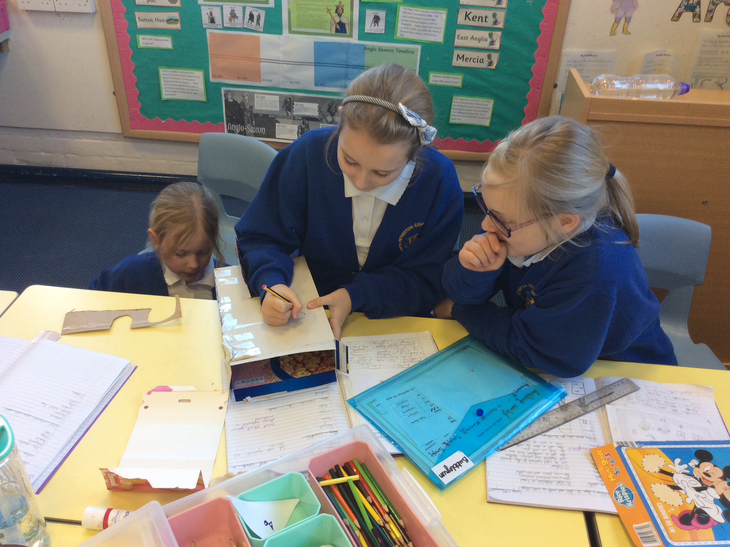 We are beginning to plan our own leaflets about The Romans. 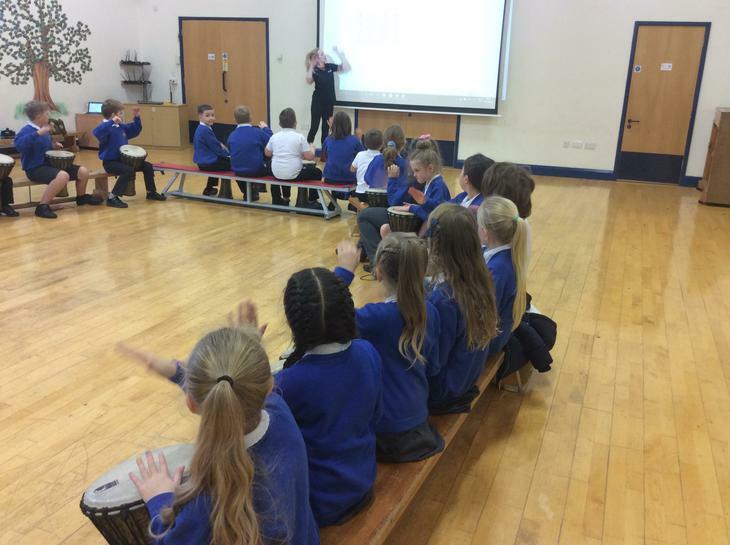 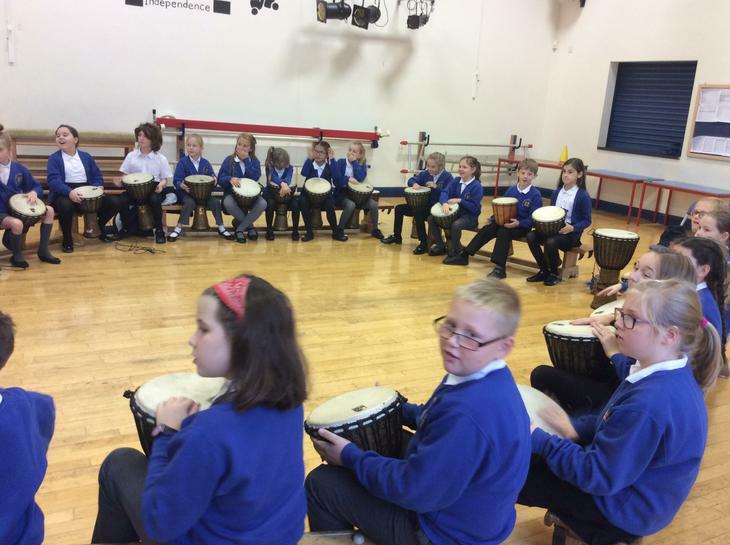 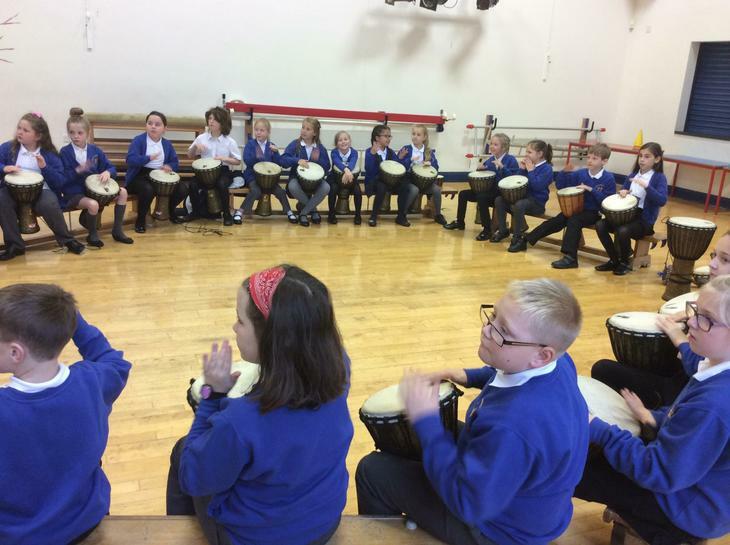 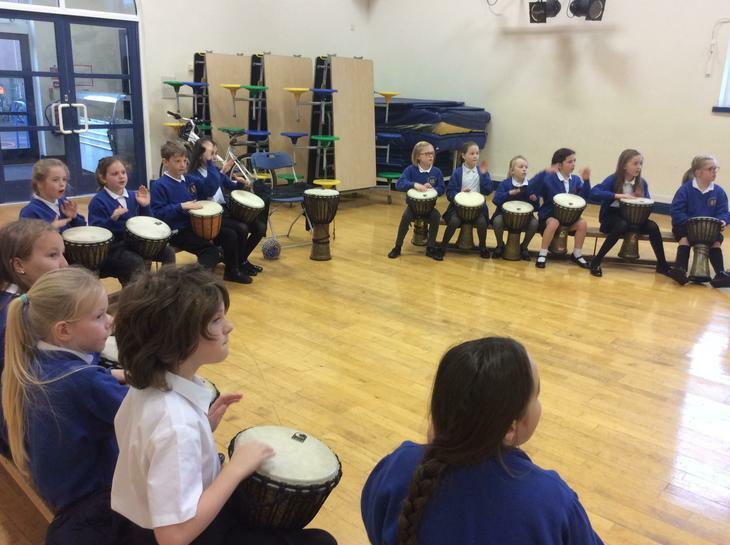 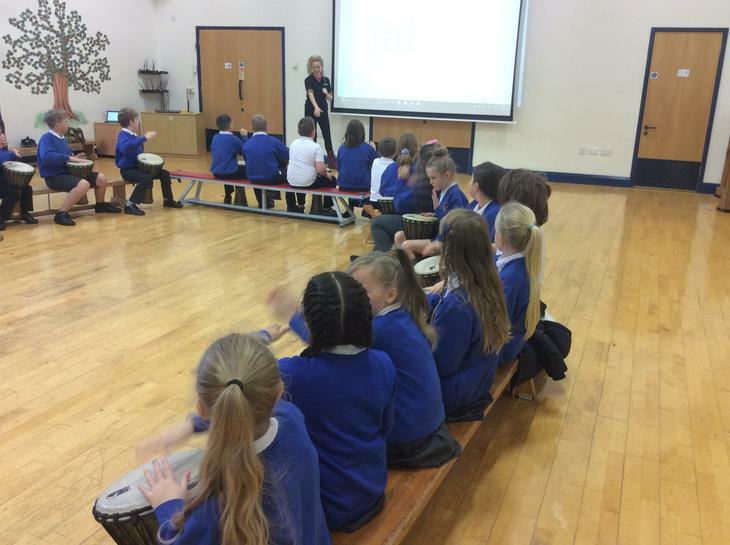 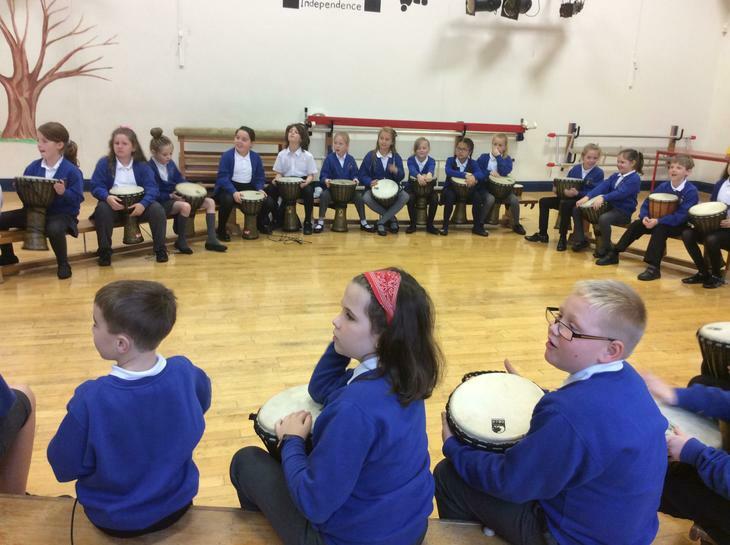 Owl Class enjoying their drumming session! 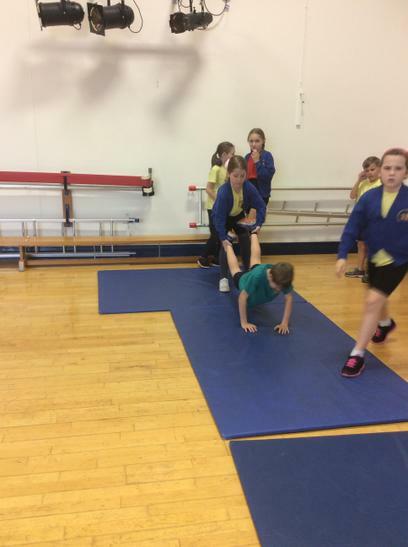 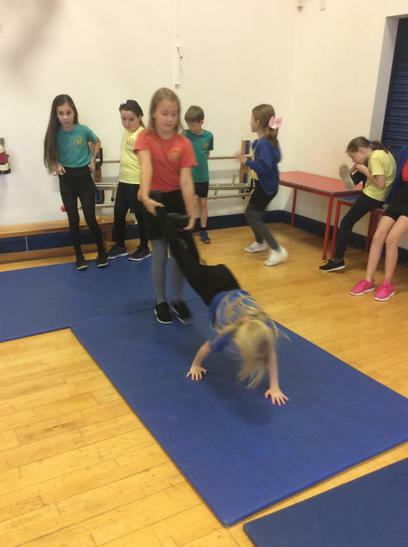 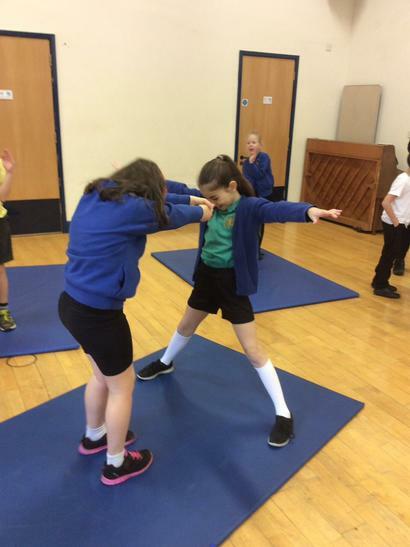 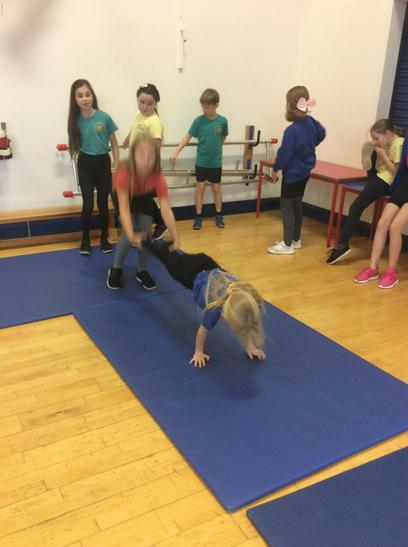 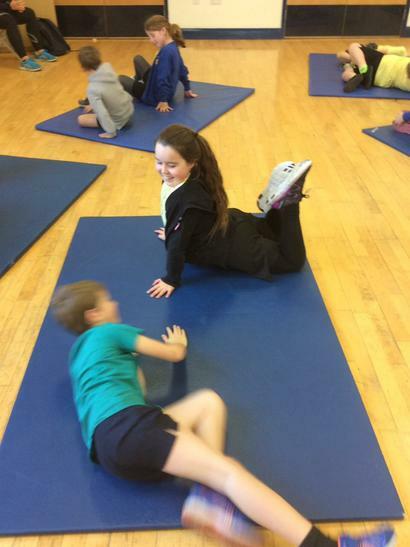 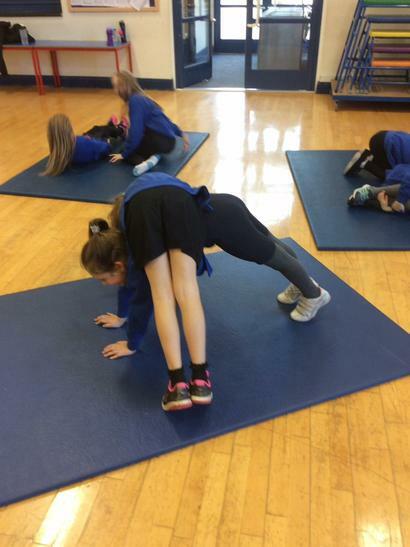 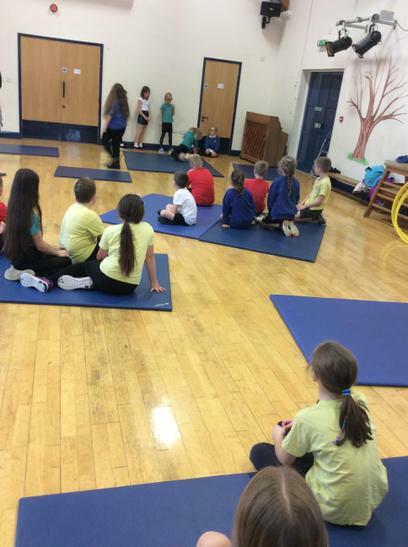 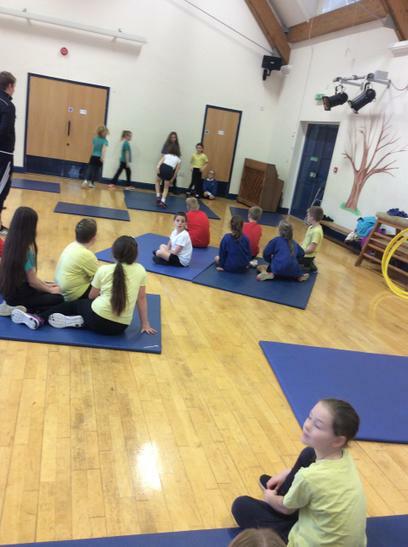 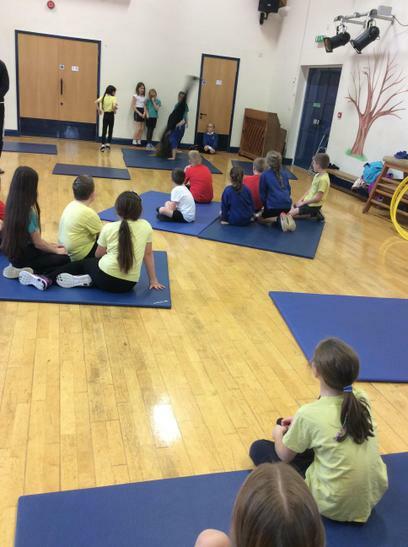 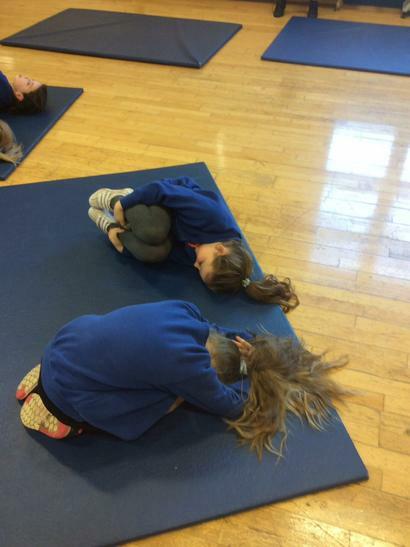 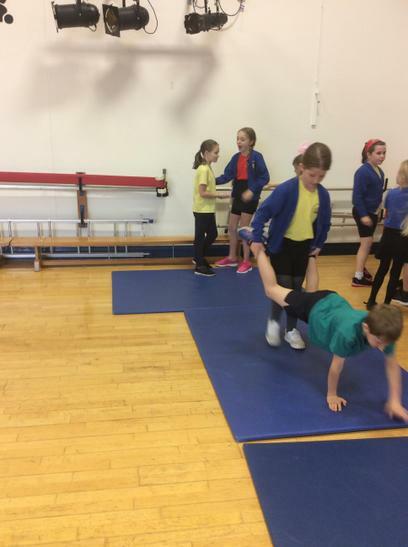 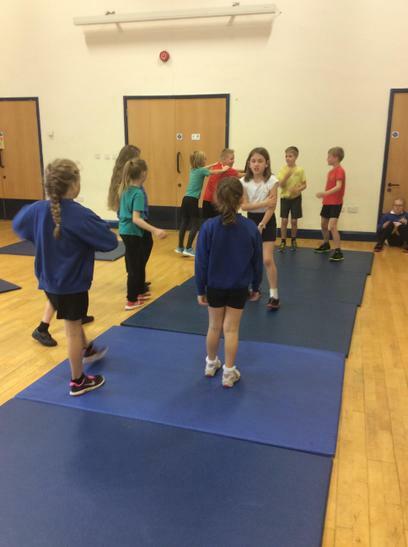 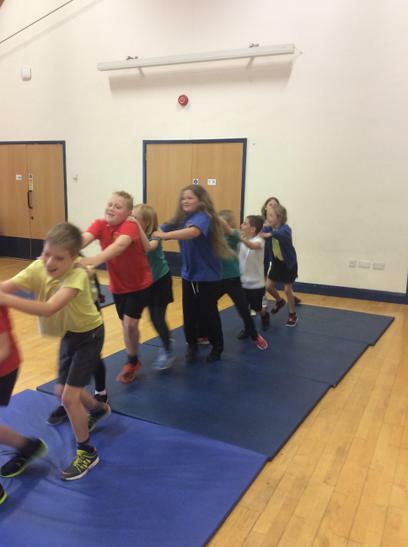 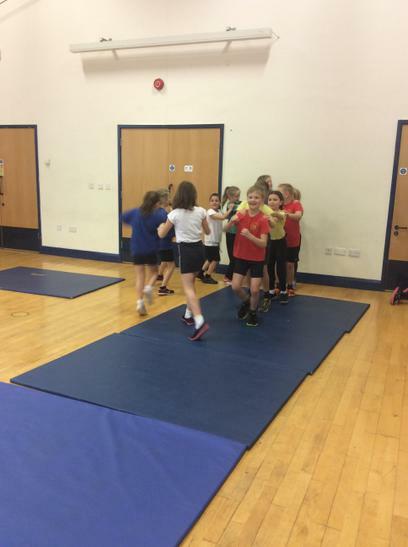 Owl class enjoying their Gymnastic lesson today which was focused around travelling. 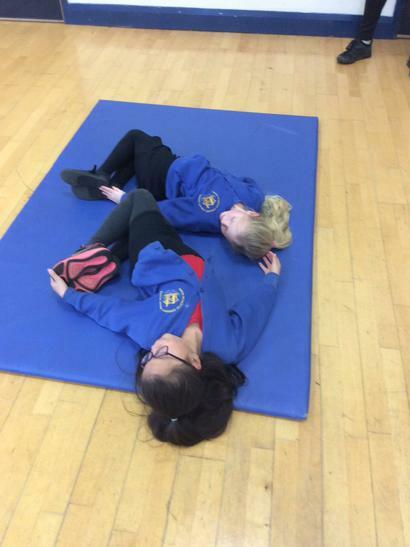 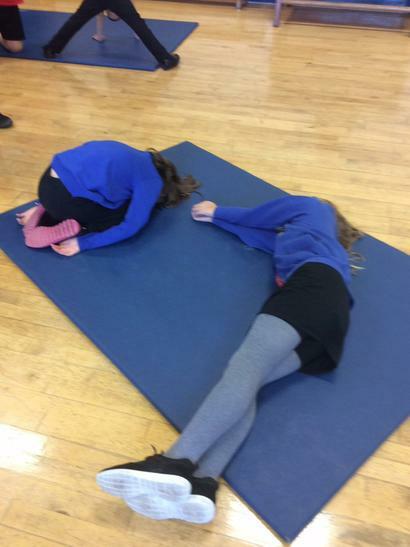 Today Owl Class were incorporating their travelling from last lesson with shapes to create a routine. 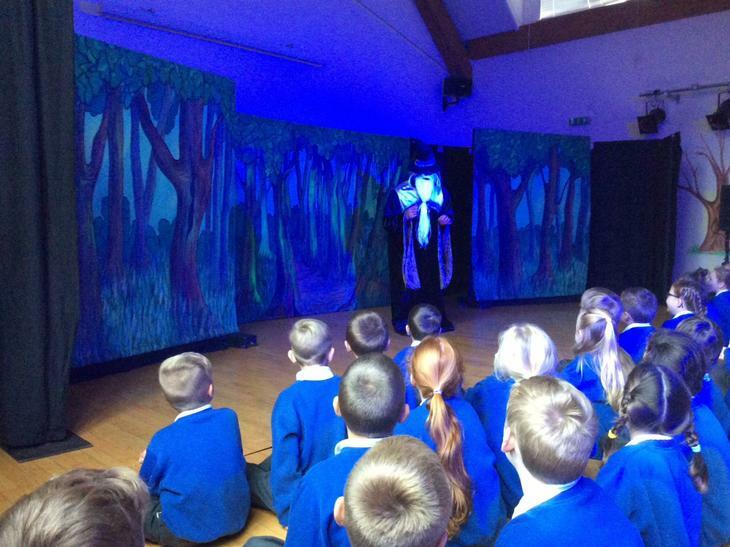 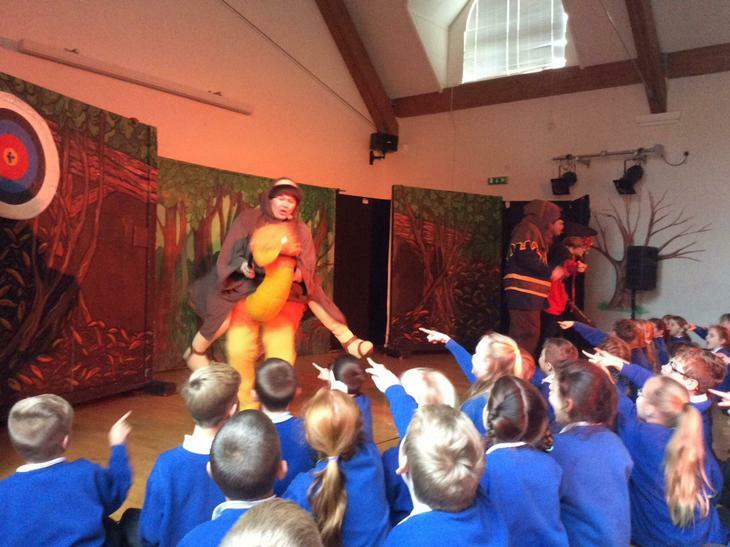 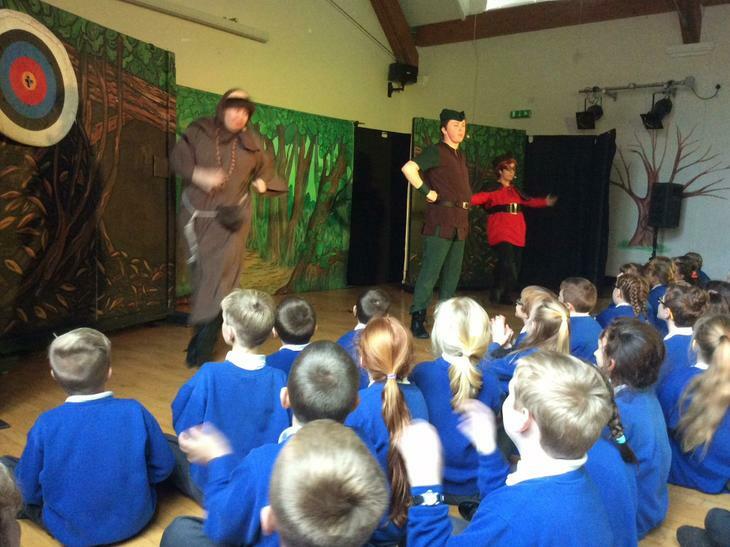 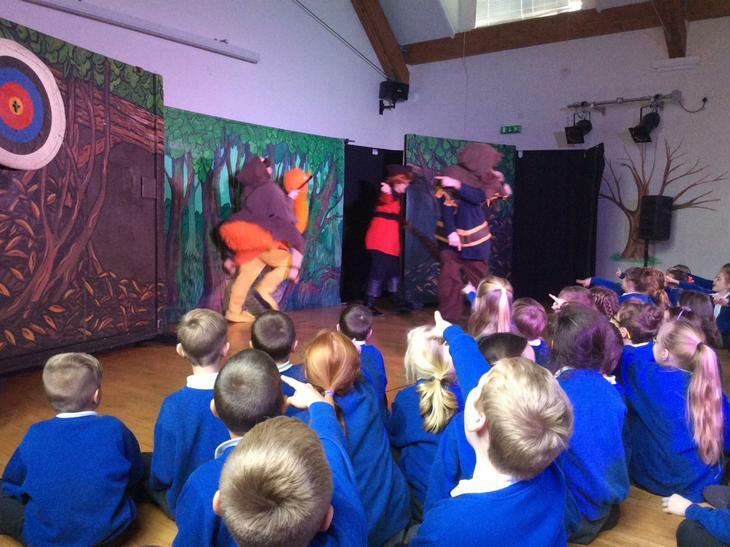 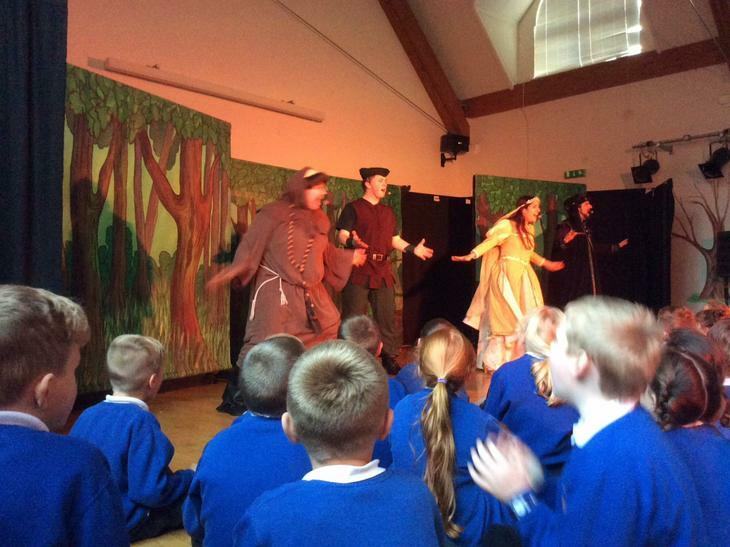 We were extremely lucky today to enjoy a performance of Robin Hood. 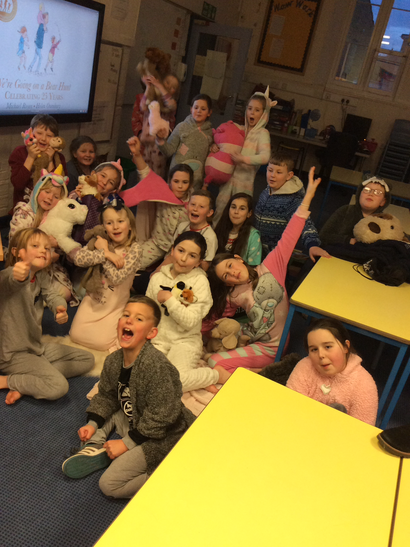 We all had a great time!